You may be wondering where I have been the last few weeks. I am working on a brand new endeavor that has been consuming a piece of my time. What is this new endeavor? 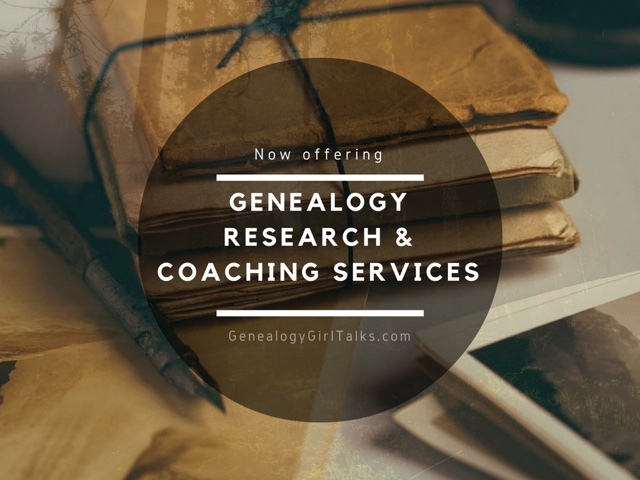 I have been researching my family history and genealogy for many years. Recently, though, I have noticed a common thread among both my maternal and paternal sides. What is this common thread? 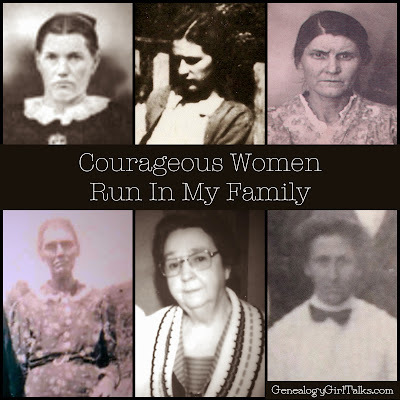 I've noticed that there are a lot of COURAGEOUS WOMEN throughout my family tree. Not your common "run of the mill" courageous women. These women have been faced with adversaries that I could never imagine. I mean, seriously, how many times can one person experience so much grief and death in their lifetime? How can your father, who should love and care for you, marry you off at 13 years old? And even in your own words you describe this as a time when it was "before I was a woman". How can you continue to be married to a man who works out of town 5 days a week and comes home only to leave again to visit his "other woman" and son? How can your husband, who was diagnosed with cancer, never tell you of his illness and leave you suddenly with three children to raise on your own? Then there is my brave and courageous Genealogist great Aunt who climbed both over AND under fences (at the risk of being harmed in rural Virginia) to gather cemetery and headstone information. This was clearly before the internet or the Find A Grave website! These are only a few of the Courageous Women in my family. These are the stories I want to share with you - not to stir your emotions or to make you feel sympathetic. 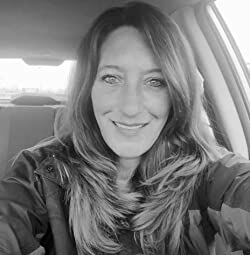 I want to share these stories to inspire you! I know you have these same women in your family! We all do! I want to learn from their courage and strength and apply it to my own life. I was reminded of this quote by Rumi, "Maybe you are searching among the branches, for what only appears in the roots". This quote resonates with me on so many levels. I know it is because of their faith that these women are courageous, but I can't help think that their bravery is somehow "within" them. A strength passed down through the generations. Perhaps I also have a piece of that within me. Like a piece of their strength and courage is somehow locked away within me. I have never considered myself a strong and courageous woman, but is it because I never realized my roots? Maybe I never realized the generations of courageous women that came before me? I know my faith, as well as theirs, held their strength and bravery, but maybe, just maybe, it is found in our roots, too. So I ponder how I can share their stories of courage and how you can do it, too. How can we come together to share these stories and pictures. How can we pass down to our own sisters, daughters, neices, and granddaughters the lessons learned by the life messages of our ancestors? How can we share these stories with our brothers, sons, nephews, and grandsons? I am on a journey to discover the answers to those questions. And, well, to find my own courage and bravery that has been passed down through the generations! How can we share these stories? Let me know your ideas and thoughts in the comments below. 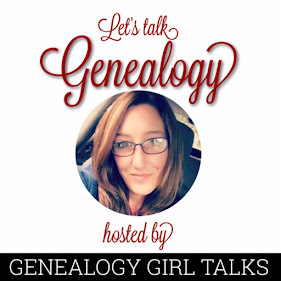 If you have a blog (or website) where you share your Courageous Women in your Family Tree, add a link in the comments below, too! We would all love to visit your website!